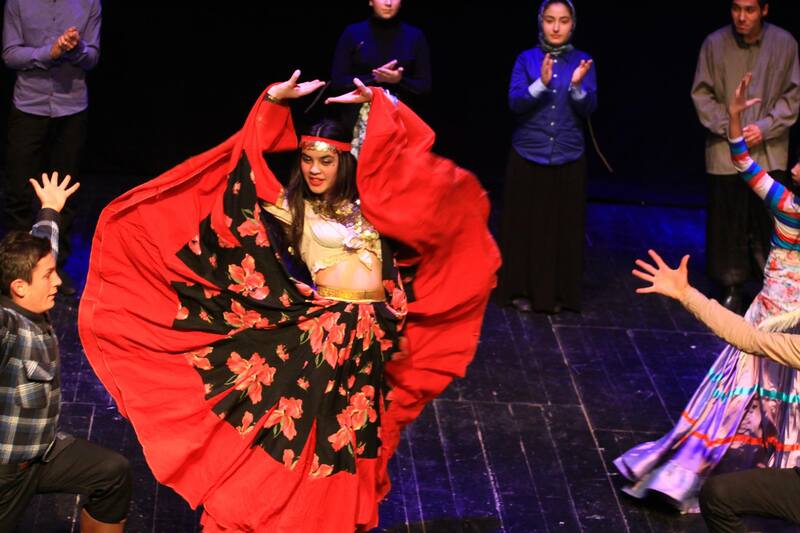 On the 22nd of December 2016, the Regional Theater Festival was held at the Ilia State University Theater in Tbilisi, Georgia. Donors, representatives of UB and Orran presented to an audience of 120 including public school pupils, teachers, administrations, parents, university students, representatives of different governmental bodies the project goals and activities. Speeches were also delivered by the representatives of the Ministry of Education and Science, underlining the project’s importance for achieving better inclusion in schools and communities across Georgia. Performances prepared by children with special educational needs and the peers of public schools living in different regions of Georgia and Armenia were presented during the event. 1) Performance “Romani” (Author: Nodar Dumbadze, Directed by Gega Kurtsikidze) prepared in collaboration with the pupils of Kobuleti N5 Public School pupils and Roma peers. 2) Performance “The Blind” (Author: Maurice Maeterlinck, Directed by David Danelia) prepared in collaboration with Armenian and IDP’s children living in a village of Shaumiani. 3) Performance “Garden in a conflict zone” (Author: Tamri Pkhakadze, Directed by David Danelia) prepared in collaboration with “BILIKI” day-center beneficiaries and Meskhetian children living in a village of Tsitelubani bordering with the conflict zone. 4) Performance “Let us return love to the Earth” (Author: Nodar Dumbadze, Directed by Kakhaber Shartava) prepared in collaboration with Samtredia N15 public school children with emotional and behavioral disorders and peers from Senaki N1 public school. 5) Performance “Greenhorn” prepared in collaboration with NGO “Orran” beneficiaries with and without special educational needs. 3) The theme of the play. According to the committee’s decision, the play “Romani” (Author: Nodar Dumbadze, Directed by Gega Kurtsikidze) prepared with the pupils of Kobuleti N5 Public School pupils and Roma peers emerged as the winner of the Festival 2016. The Theatre Festival aims to demonstrate the cooperation between children with special educational needs (adults with special educational needs, including children of ethnic minorities and with linguistic problems) and their peers from public schools living in the same community. Performing to a wide audience plays a significant role in raising the issues of vulnerable children and changes the existing stereotypes that hinder the inclusion of vulnerable children in the communities and education.